Ready for a very picture heavy post? I barely want to type words to go with it... but I will. Because our ski trip was so.fun. Sol and I hadn't been to Wolf Creek in seven years--traveling to Colorado from the east coast was a bigger trip than we can manage. And skiing with small children? Tricky. 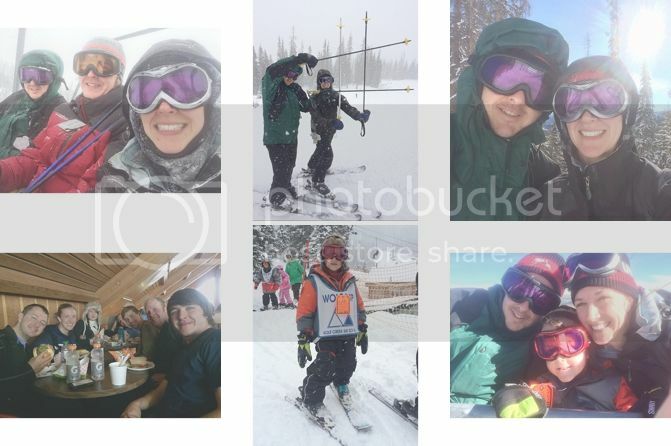 We ended up skiing two days--the first day my mom kept Keaton and Braden at our condo, and the second day Keaton and Braden hung out in the lodge with a rotating cast of caregivers. 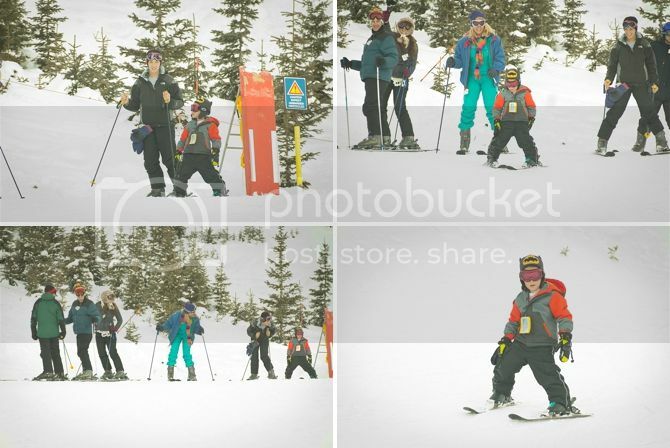 We put Finley in ski school both days. The first day he was still a little worn out from all the travel and possibly a little overdressed. He came in after about an hour of skiing and ended up taking a nap... and then was back to it after lunch. 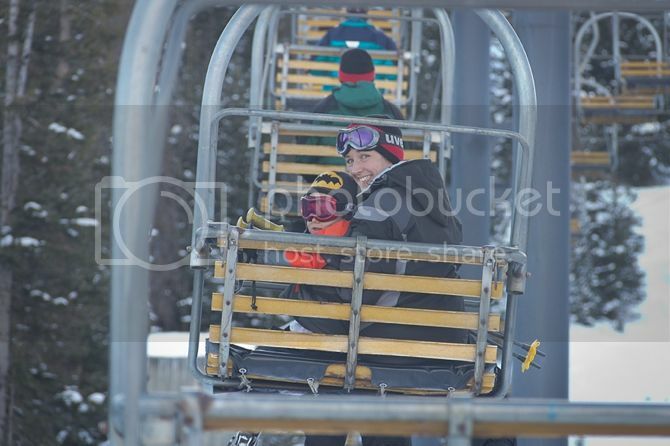 He went down the little lift once the first day and thought it was so cool. And we were so proud. The second day he did great--we took him down one of the big lifts and he did great. Everytime he fell or did anything he'd yell THIS IS AWESOME!!! or BEST DAY EVER!!! Gotta love his enthusiasm. 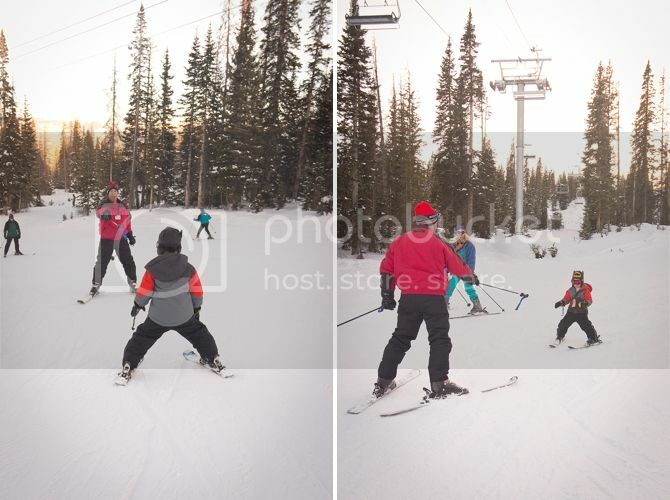 After ski school wrapped up for the second day, my whole family went down the little slope with him. 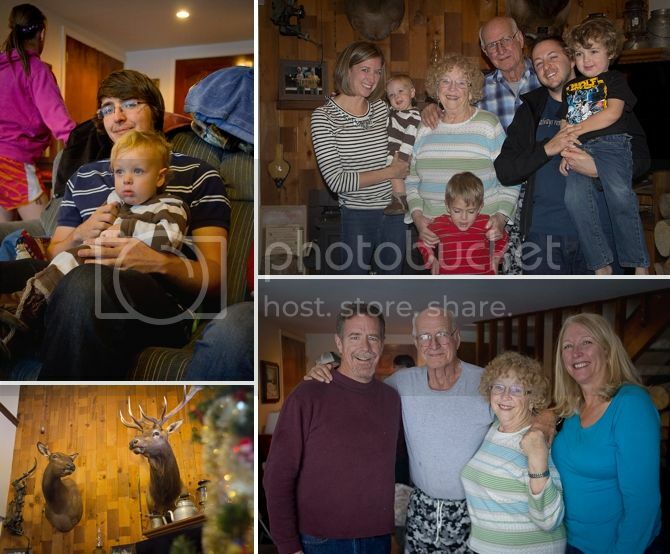 It was so fun and special--I love these pictures with everyone in the shots! 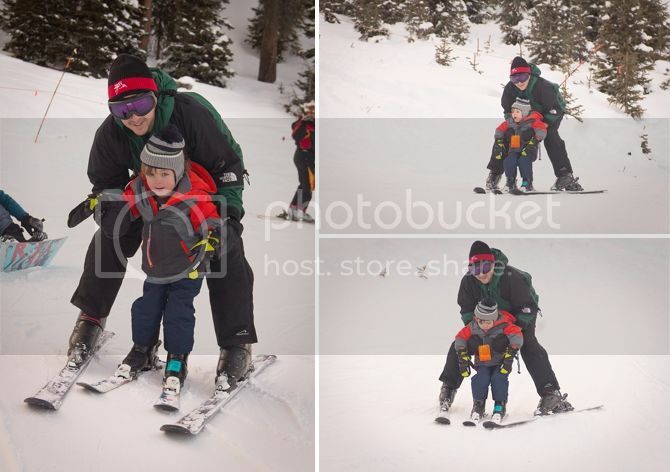 My dad has taught many small children to ski--and I loved seeing him break out his tricks with Finley! And also, the light was gorgeous. We were so proud of Finley--he worked so hard to figure it all out, and of course, loved to recite all that he'd learned to us. 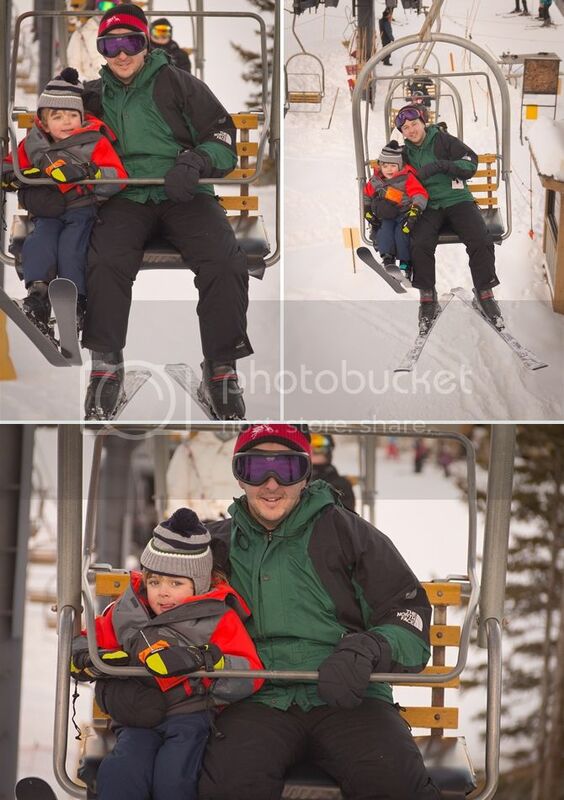 About how to ride the ski lift, what to do with his skiis... all the rules. 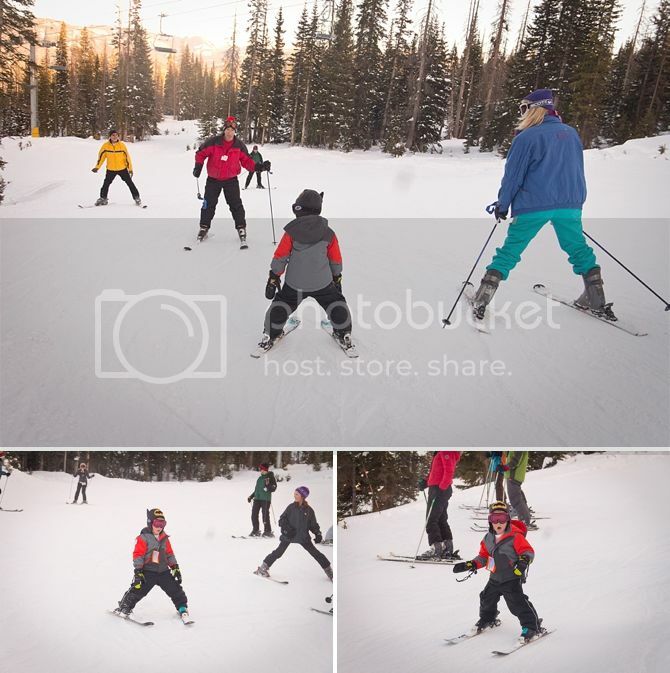 Braden was too little for ski school, but once he figured out everyone else was skiing, he wanted to as well. We stuck him in Finley's boots and coat (major tantrum, he wanted to wear his snow boots and ski) and stuck him on the lift (major tantrum, he didn't understand how to get off and thought we'd have to jump.) But once we got him down--so happy. He obviously had no idea what he was doing, Sol basically carried him down the mountain. Which was adorable. 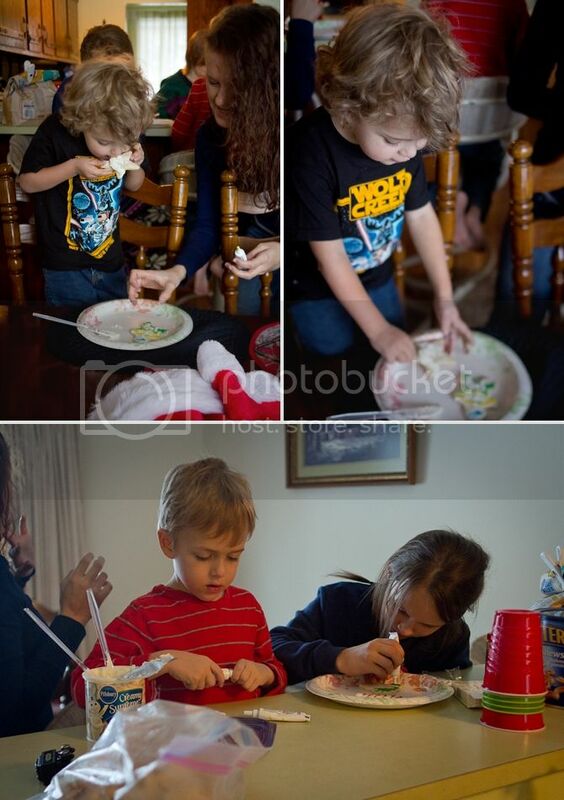 At first, Sol took Braden down cautiously and slowly... and then they went FAST. Which B-town loved. While everyone was skiing... B and K were in the lodge playing. Braden pretty much played the iPad the whole time. And Keaton did whatever he wanted. Pushed chairs around. Tried to eat fries off the floor. Took a nap on a smelly sweatshirt. We had so much fun and I want to figure out a way to come back... every year. I loved that we grew up skiing together and hope my boys can do the same. Sol and I love skiing together--I always claim that running and skiing are the two sports that I can beat him at... and he pretends that it's true. Either way, we love it. 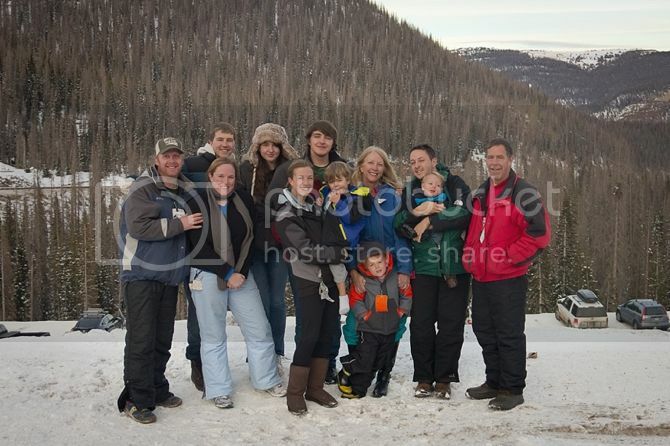 Our recent ski trip to Colorado was the first time my whole side of the family had been together in 2014--so my mom waited until our paths converged in Santa Fe to get a family picture to send out in her Christmas card. We pulled over and took a quick picture a little north of Santa Fe, at a place called Ghost Ranch. After our final day of skiing we also got a great shot--I set my camera on top of the van and somehow got a picture where everyone was looking at the camera and no one was doing bunny ears--no small feat. Merry Christmas... a few days ago. 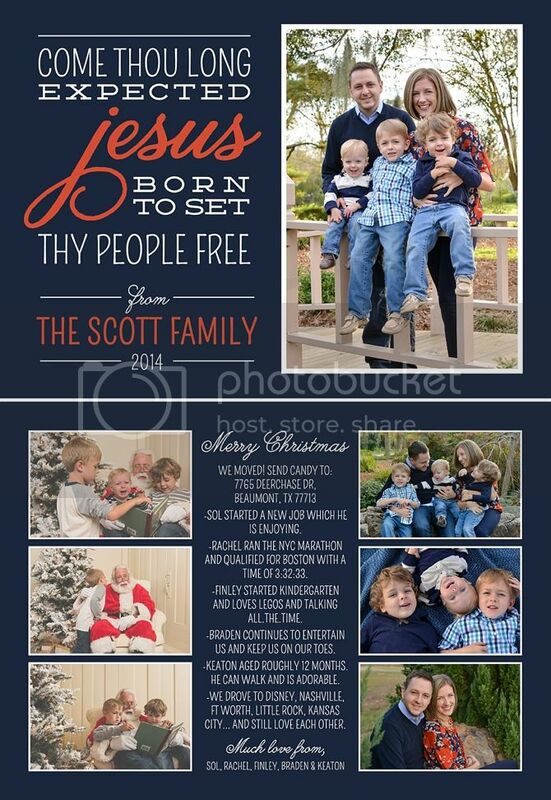 The best part about designing your own Christmas card? Making sure the colors match your shirt. Kidding. 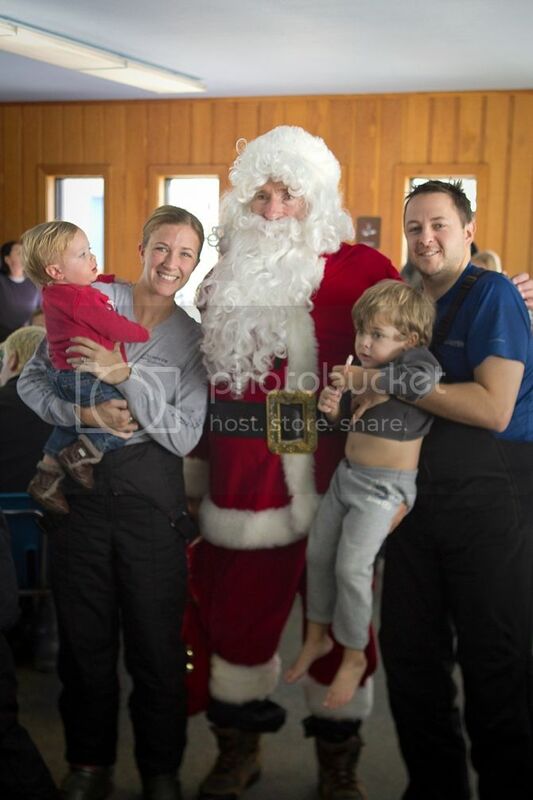 The best part is getting to include as any pictures as you want--I loved the ones of the boys with Santa and was excited to include them with some of our family shots. Hope your Christmas was merry and bright and full of love and remembering our long expected Savior. 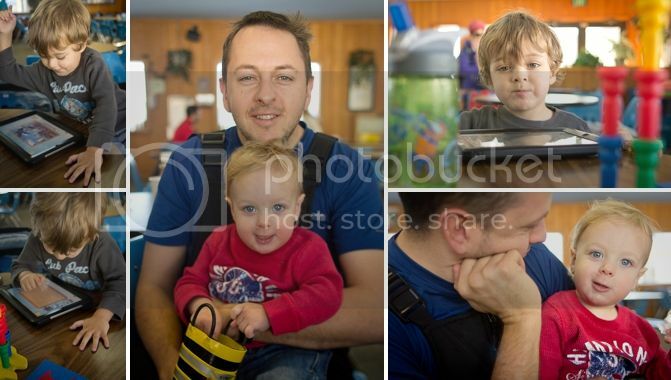 And a few more pictures I love. Keaton was SUCH a trooper on the trip. He was definitely the easiest kid. 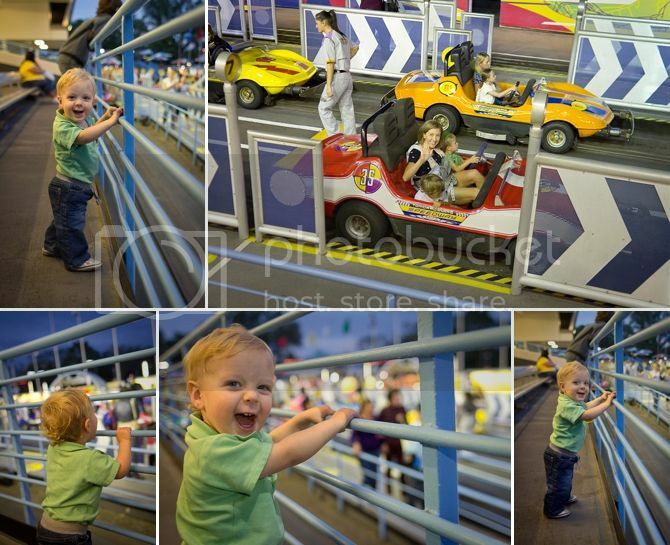 He was happy going on rides. He was happy watching shows. He was happy riding in the stroller. He was happy in the Ergo. He had no opinions about what to do next. He was a star. He started to get a little braver about walking--sometimes taking a few steps. He was not brave about the characters--but that meant I got extra hugs, which I'm fine with. One of the cool things we did this trip was sign Finley up for the Jedi Training Academy. 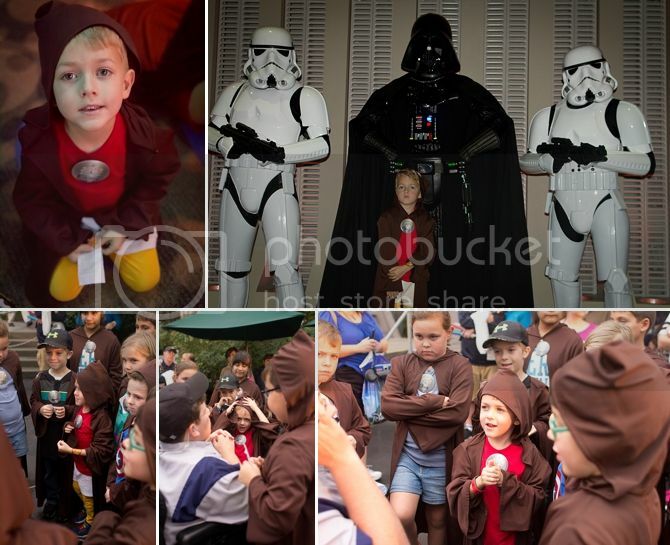 When its not raining, the kids get a little Jedi lesson and then get to fight Darth Vader. Of course, it was raining, so my little duck-dressed-as-a-Jedi just got to learn to fight and then take a VERY SERIOUS picture with Darth. One of the sweet cast members was doing Star Wars trivia with the kids and Finley got called out for never seeing the movies. As I type this, he's making up for lost time and watching his fifth movie. So we've reached the Star Wars phase of having boys. And we'll end things with my boys watching a parade. 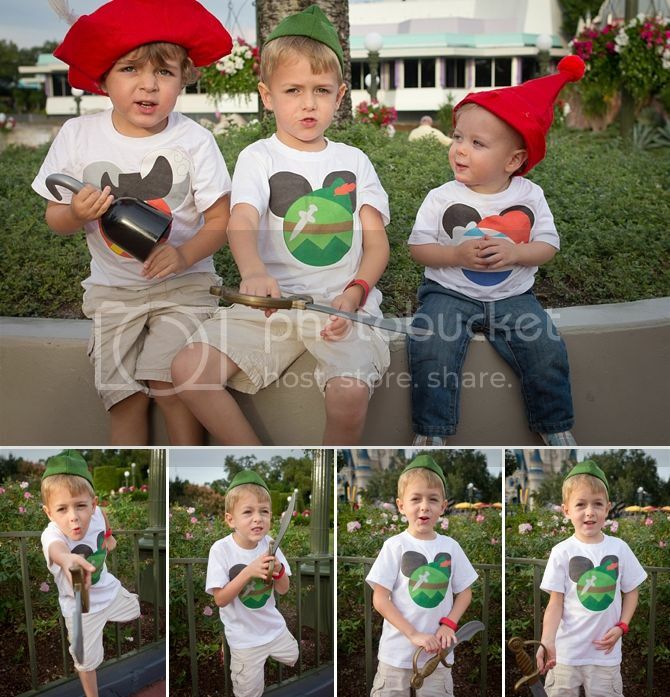 Smee came over and pretended to fight with Peter Finn and Braden loved to see Mickey, obviously. Before we left for our trip, I found some Mickey shaped notepads in the Dollar Spot at Target. 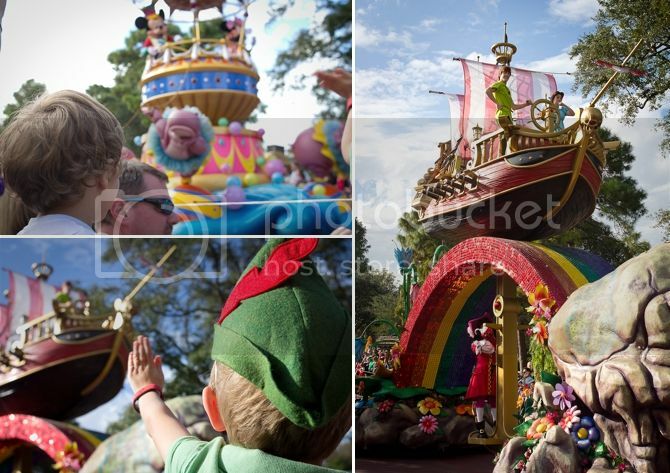 The boys like meeting characters, but we had never made a huge effort to meet lots of them--just important ones like Mickey and Peter Pan. This time--we met all.the.characters. I saw some moms who brought photo mats for the characters to sign--and in retrospect, having a cheap notebook full of signatures was probably not the way to go. Finley took his role super seriously and made sure to get a signature immediately. Braden occasionally wanted an autograph, but most of the time was just excited to get a hug. 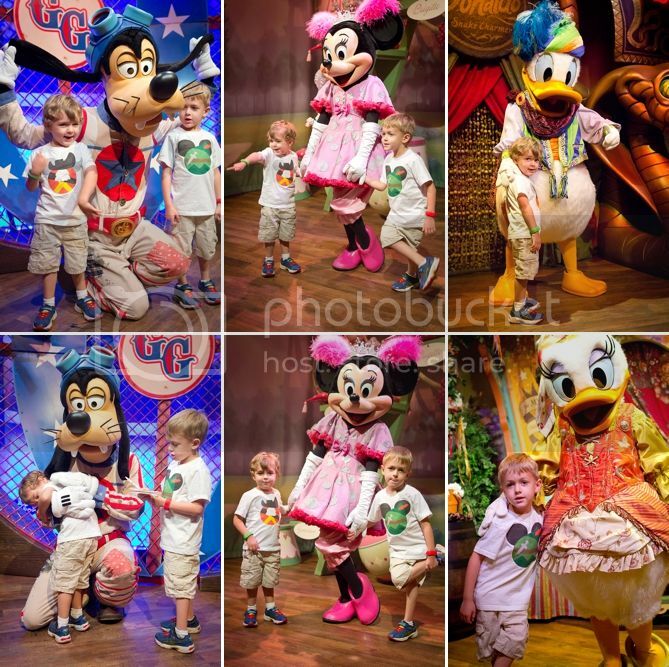 Meeting Daisy, Donald, Goofy and Minnie at Magic Kingdom was our kick off character experience. It's an easy way to meet a lot quickly--there's rarely a line and all four characters are in the same room (with two separate lines). Braden gave Aviator Goofy the sweetest, looongest hug. He kind of hung in Goofy's arms longer than was normal. But it was cu-ute. 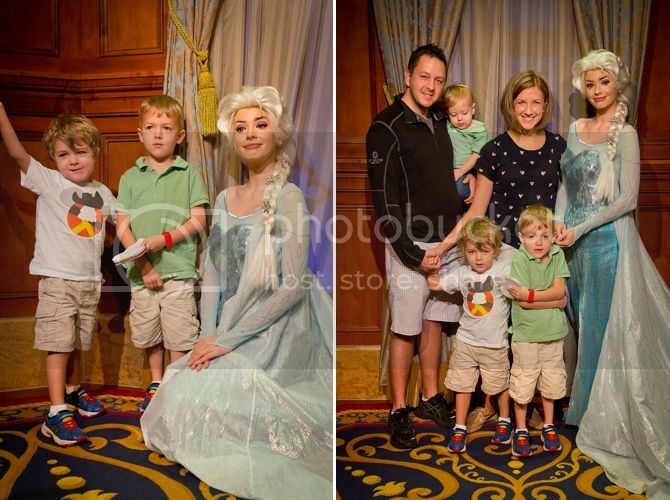 Our crowning achievement (pun intended) of the character experiences was meeting Anna and Elsa. The line to meet them regularly topped three hours and the Fast Passes were gone before we had a chance to get one. 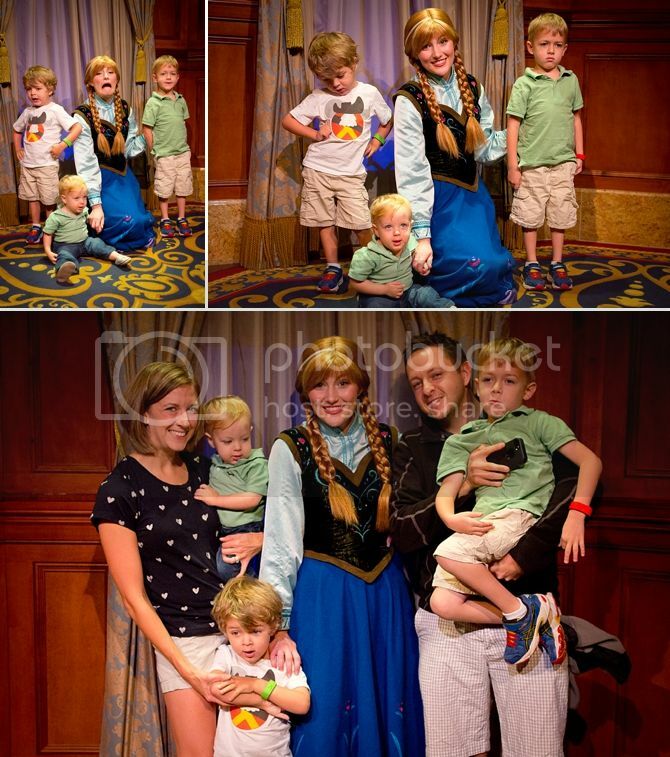 And even though we have boys--they still really wanted to meet the Frozen gals. (Not sure what Anna is doing in the first picture...) We made it to the Magic Kingdom early--and Sol was at the rope when they dropped it to let everyone in. His plan was to run to get in line--but the people who ran got YELLED at, so he walked quickly and respectfully with ALL the other people they were safely corralling to meet the Princesses. And we got in to see them within 15 minutes, so it was ridiculous--and worth it. 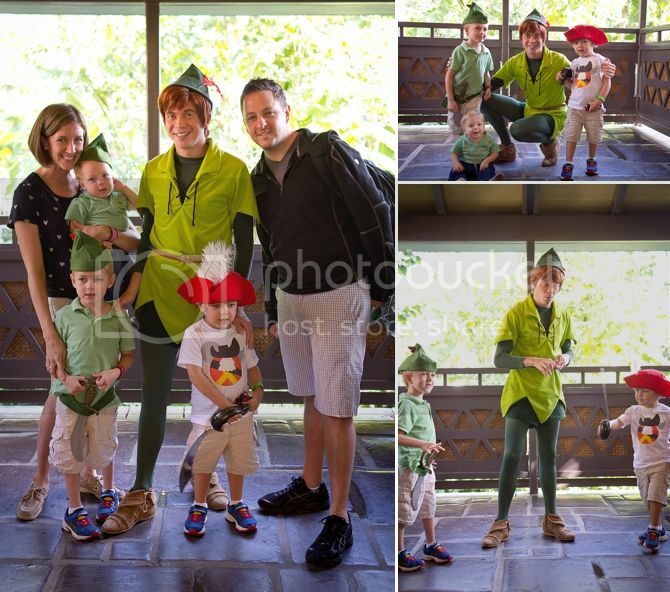 Peter Pan was one of the characters we HAD to see--I had matching Peter outfits for the boys, but Braden didn't want to wear it and that was not a battle I wanted to fight. So he was Captain Hook. This was the third Peter we've met and probably the least cool. Sorry Peter. 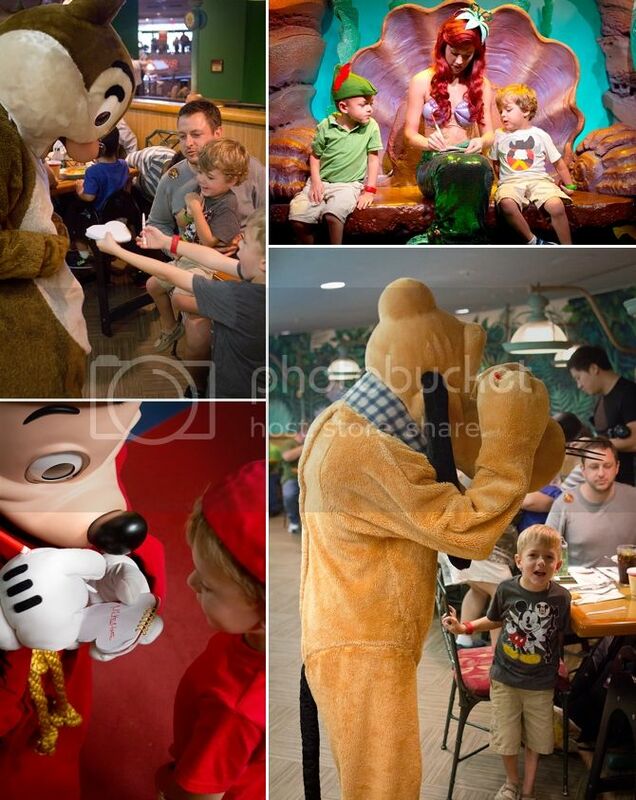 For some CUUUUTE pictures of my babies meeting the same characters almost two years ago--here you go. Keaton was pretty wary of the characters--but he liked to sit beside me and watch them come by at Garden Grill. We only did one character meal this time--they were mostly booked by the time I got around to making reservations, but Sol managed to get one at Epcot. It was a fun one! 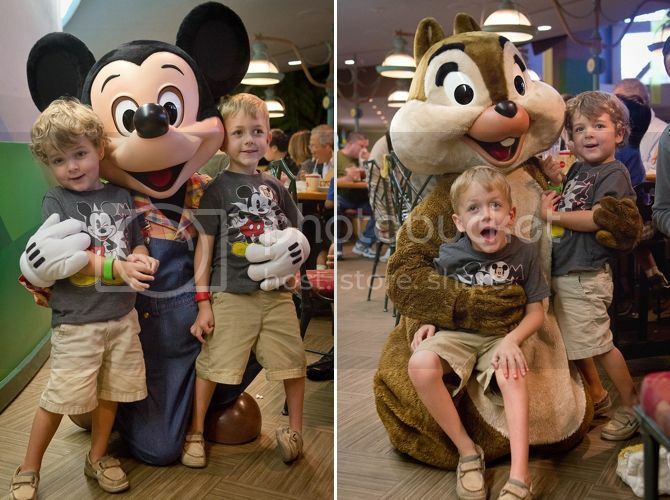 Not our favorite food, but we got to meet Farmer Mickey, Chip and Dale and Pluto. 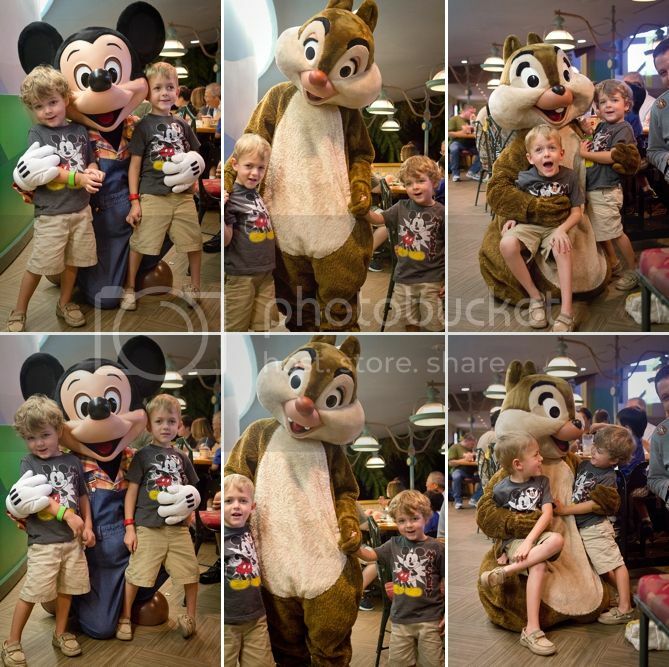 This was probably Braden's favorite--he was smitten with Chip and Dale and was SO excited to see them. Finley was pretty excited to see them too. Meeting Buzz and Woody was entertaining--we had just bought the boys light sabers (of course) and they took them and did a little mock sword fight. We met Ariel for the first time this trip too--and neither child pulled her shells off, which was a victory. Behind her was a pile of forks--I'm guessing little girls bring her "dinglehoppers" or whatever she calls them, and it was cute. 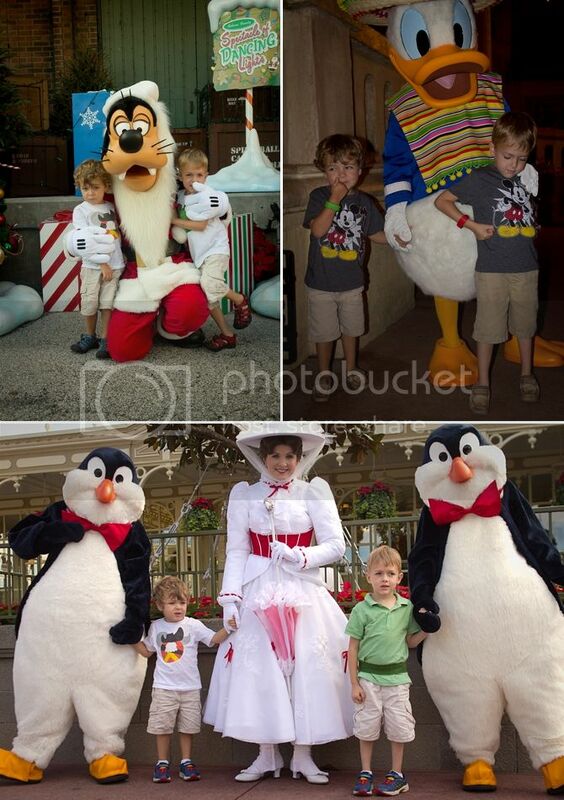 Santa Goofy, Mexico Donald and MARY POPPINS!!! How fun is Mary Poppins? 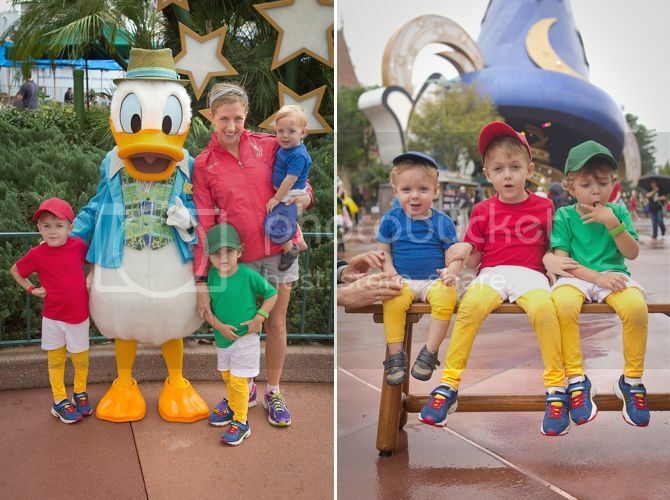 Meeting Donald while the boys were dressed as Huey, Dewey and Louie was one of my favorites. It was fun to watch Donald get excited to see them in costume. And Finley and Braden were so pumped to take a picture with him. 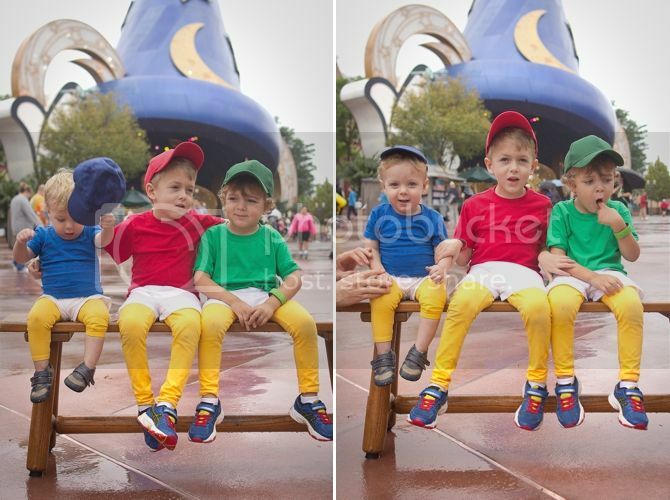 Talking Mickey is always a hit with the boys--I know I'm a sap, but its so fun to see the characters make those magical experiences for the kids. And Sol loved taking a picture with Belle... magical. Braden was really excited to meet Tinkerbell and gave her an awkward hug. I was hoping for a good Christmas picture with Santa Goofy, but that did not work out. Ohhh well. We got a decent one with some Christmas lights though. Except most of the lights are cropped out. And a family picture with Mickey to wrap things up. We love that mouse. And we love his castle, which is actually Cinderella's castle. Don't tell my kids. About a month ago... we went to Disney. It seems crazy that we are already a month past it! We have a big trip planned in March--and when Sol realized he was going to end up with an extra week of vacation in 2014, we jumped at the chance to get an extra week of Disney. Is it ridiculous to go so often? Yes, yes it is. Do we care? Not really. It's so fun to go with these guys--to see their joy and get to experience so many special things with them. So naturally, I tried to come up with themed outfits for them each day. I tried to keep them relatively simple and comfortable so they wouldn't mind wearing them. And of course--I wanted them to be things they were excited about. 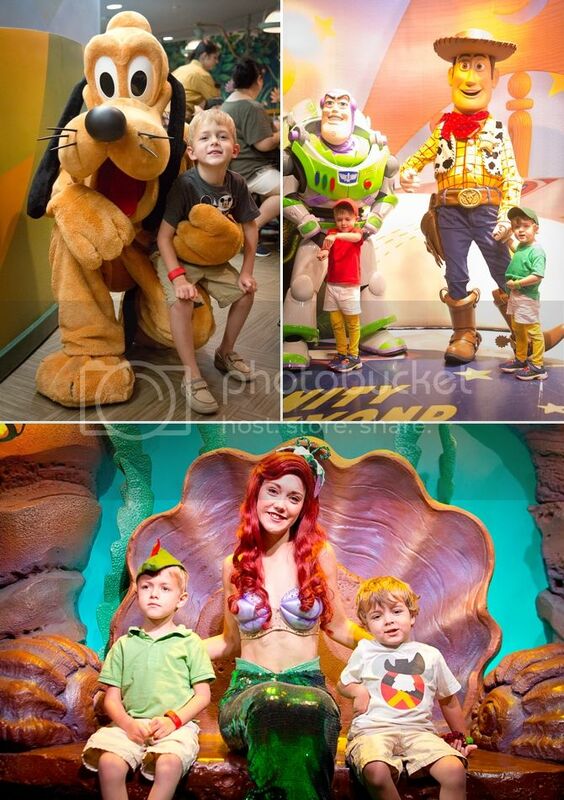 Dressing kids up for Disney increases their enjoyment exponentially--all the cast members fuss over them and everyone interacts with them! 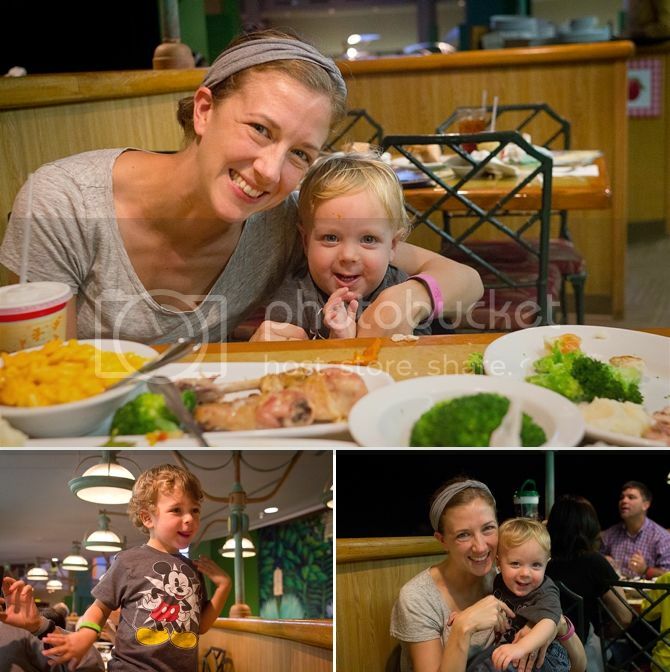 Our first (and Braden's favorite!) 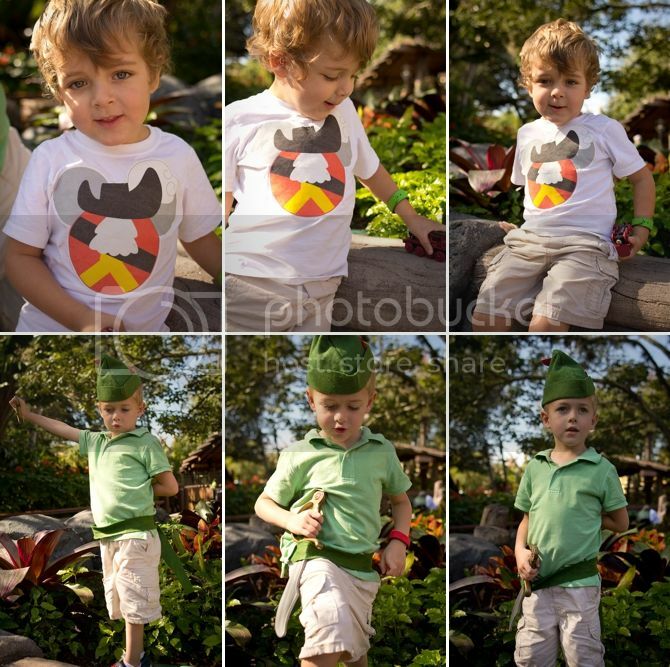 round of outfits were these Mickey/Peter Pan shirts. I designed them in Photoshop and had them printed on fabric and appliqued them on. We happened to have matching hats leftover from Finley's birthday--adorable. Sol came up with the brilliant idea to have them be Huey, Dewey and Louie. I'm so surprised how excited they were to dress up--and very grateful that Finley still thought it was a super cool idea. 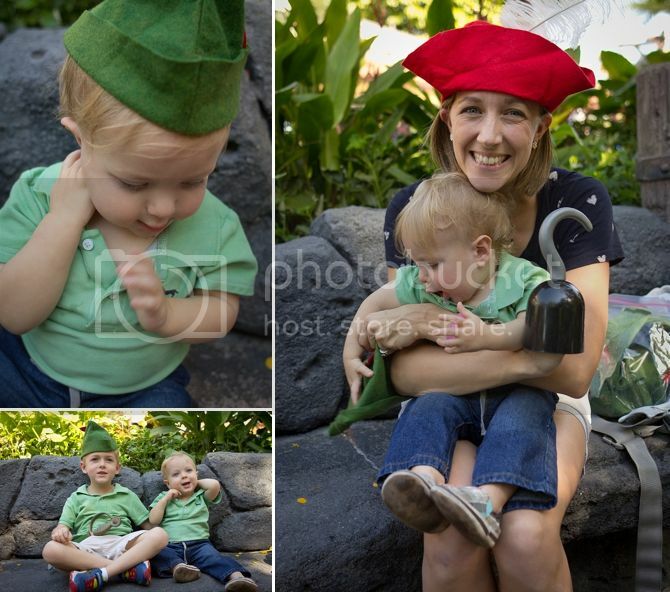 I had a full set of Peter Pan outfits for them--but Braden really wanted to be Captain Hook Mickey again, so we went with it. Anything to make that boy smile. Keaton did NOT like the hat. Finley liked swashbuckling. The polos were white polos we had lying around that were stained and needed to be retired... so I dyed them green! These were kind of lame, but still a big hit. Target Mickey shirts! I failed at getting one of all three of them together. Whoops. Our time at Animal Kingdom was a disaster. 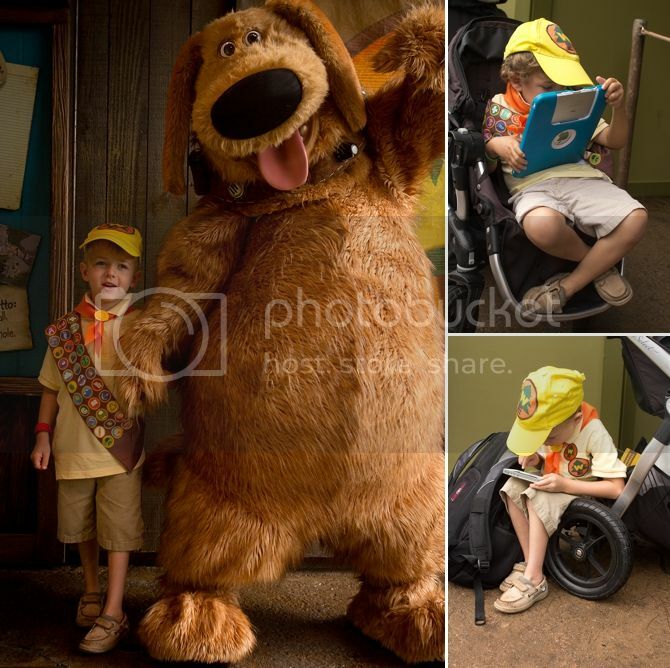 We went for a few hours one morning before we went to Epcot--we rode the Safari twice and stood in line to take a picture with Dug the Dog from UP--but no Russell. 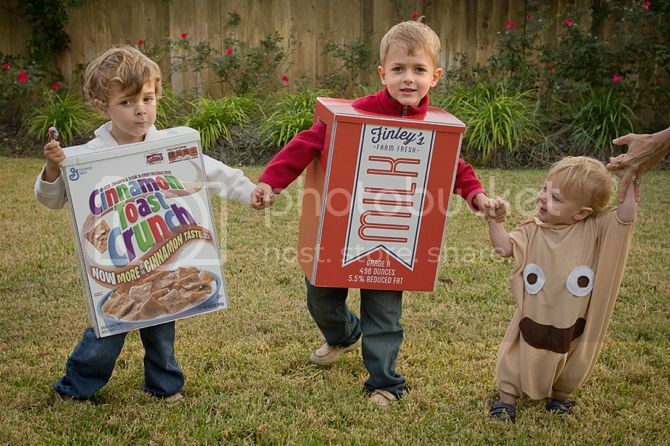 All three boys were dressed as Russell and they were all GRUMPY... hence the iPad and iPhone time. I remade the Wilderness Explorer outfits and they are AMAHZING. You'll just have to wait until March for better pictures of the details... but I used Spoonflower to print the WE logos and the sashes and it was awesome. Yellow polos from Children's Place and white hats I dyed yellow. 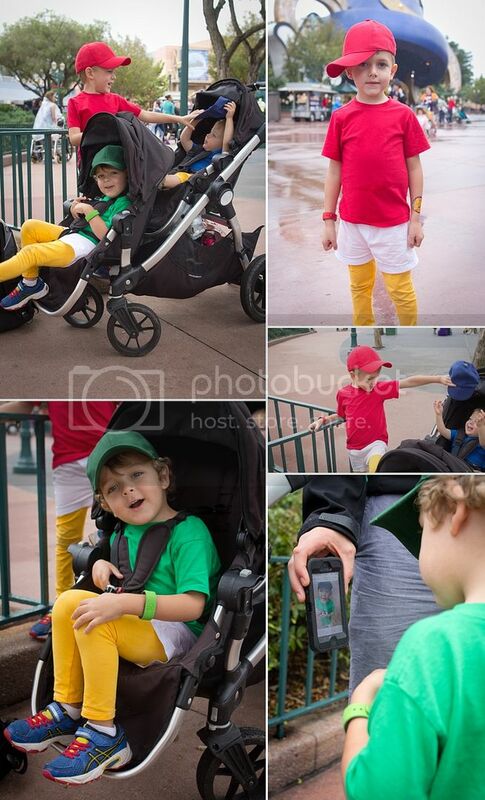 I really wanted Keaton to walk before our Disney trip. I didn't want to have to worry about him crawling around the parks and getting germy and gross... but that didn't pan out. 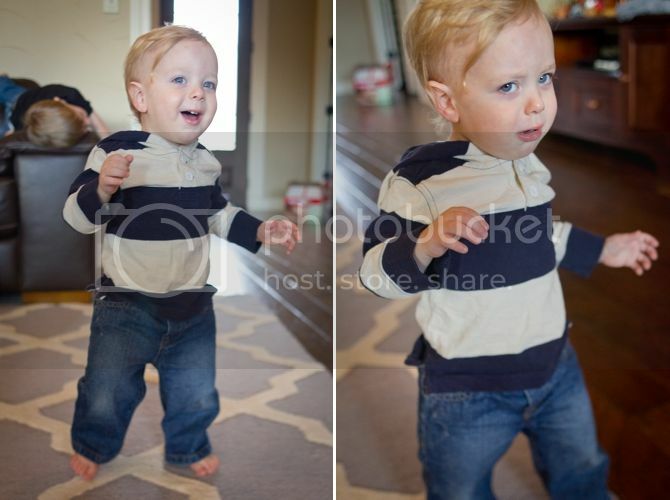 He started walking in the beginning of December--about a week shy of 17 months. He had been taking a few steps for about a month, but finally strung a bunch together and got brave! He currently still crawls sometimes--but likes to walk when he's not in a rush. He's such a fast crawler, if he needs to get somewhere fast then he'll turbo-crawl. He was a little grumpy (of course) when I tried to get a few pictures of him walking... for the most part we'll just catching him ambling around, walking with no particular end in mind. Being such a late walker, he was pretty steady. I feel like he bruised his head much less than the other boys did. Good job baby Keatie! Oh hey, did you miss me? Lots has gone on in the past few weeks... including letting my domain expire and having to do some internetty sleuthing and call the customer service about verifying my authority or something... but it all works now. Hooray! To celebrate, how about I blog? 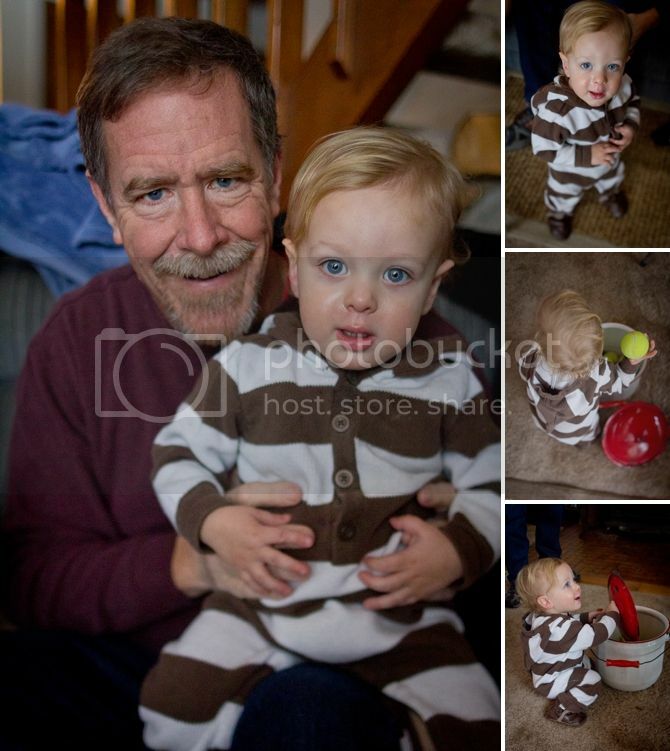 One of the local photographers (Yvette Michelle) had Santa come to her studio for some cute minisessions... 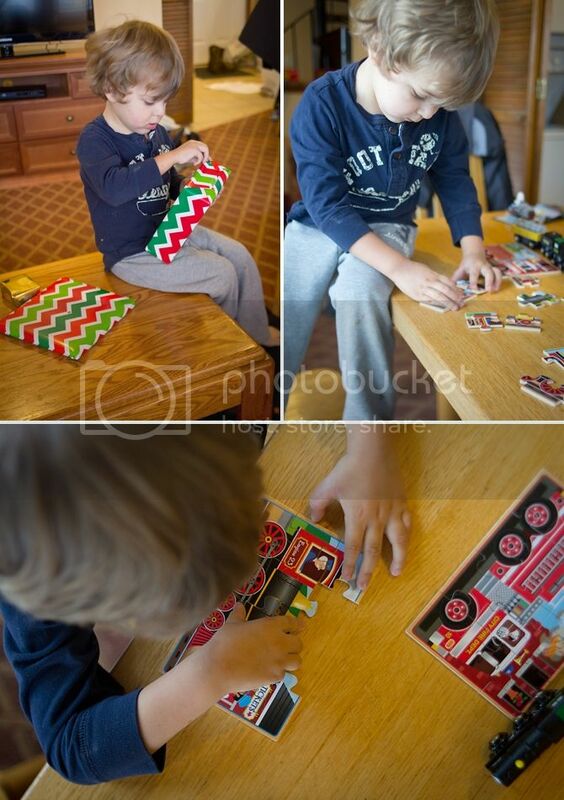 I thought it would be fun to have the boys get to meet Santa in a quiet non-mall environment and get some cute pictures. Two out of the three agreed--not that you can see the joy on any of their faces. 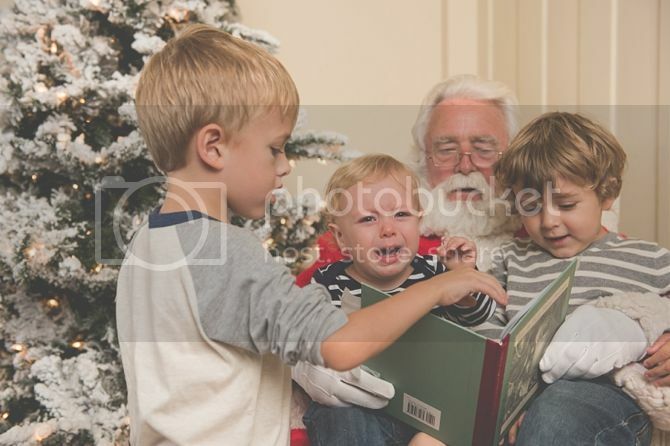 The boys got to tell Santa what they wanted for Christmas and he read them the Night Before Christmas. Santa was actually napping in his chair when showed up--it was cute and authentic. 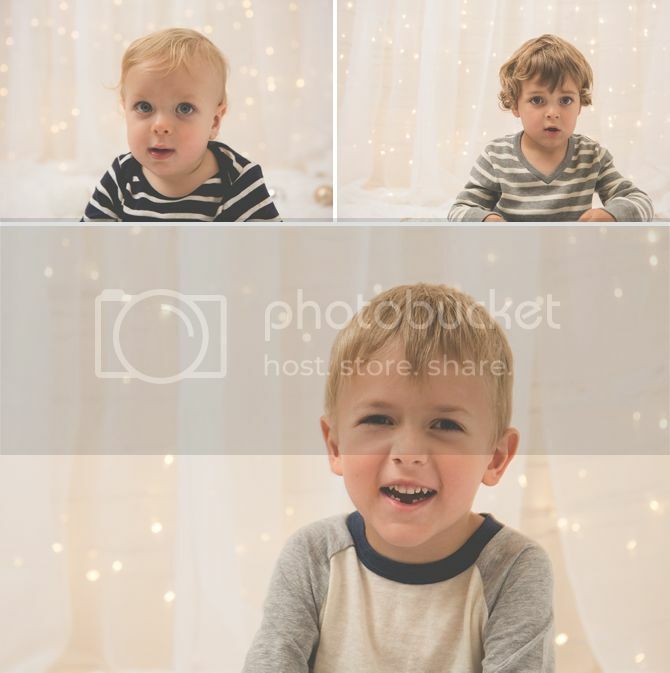 The photographer also had a cute twinkly light set up--Keaton was a lot more willing to participate in that part. They were still my rascally, non-cooperative boys and we didn't quite get one of them all paying attention... but that's pretty par for the course. We're enjoying kicking off the Christmas season by wearing short sleeves and having our neighbors make fun of the fact that we own a snow shovel. We used it already this year--to scoop our moldy pumpkin off our porch. Apparently they mold in like two days because it's so warm and humid here. #TEXAS!!! Last weekend we made the drive up to Ft. Worth to watch K-State play TCU. It's exciting to be within driving distance of games now! We had a delicious Mexican meal at the tailgate--and got there right in time to see the band play! The boys were mesmerized. They also got to meet Willie, who is looking pretty good this year. #winkwink Finley IMMEDIATELY became the biggest fan K-State has ever had. It was a bit confusing since EVERYONE was wearing purple! He walked around yelling "GO CATS!" and loved to make the little Wildcat hand signal. Every time he heard someone cheer for TCU he'd go off on his little K-State cheer. It was adorable. And also intense. We went back and forth on whether we should bring the boys--it ended up being a 6:30 game which was pretty late for them. We came armed with fully charged iPads and the boys kept busy playing Temple Run and a Lego Ninjago game. I am not sure I understand boys. They played "Shake it Off" during halftime, and after that Braden decided he just wanted to watch Taylor Swift on YouTube over and over until the game was over. Crazy kid. Keaton took a short nap and stayed pretty happy most of the time. 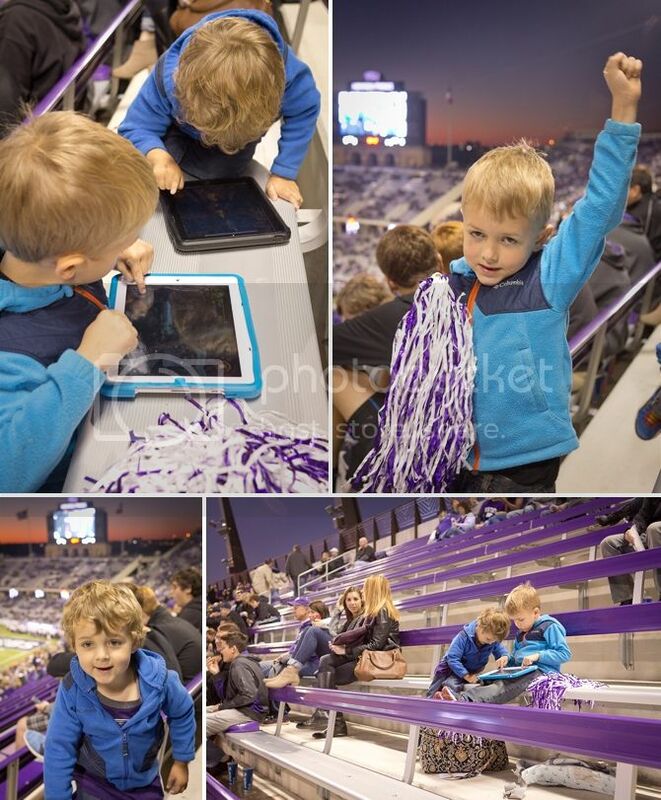 We say by really kind TCU fans who kept the boys entertained. When we left, the grumpiest boy was Sol--because we lost. But everyone else had fun! 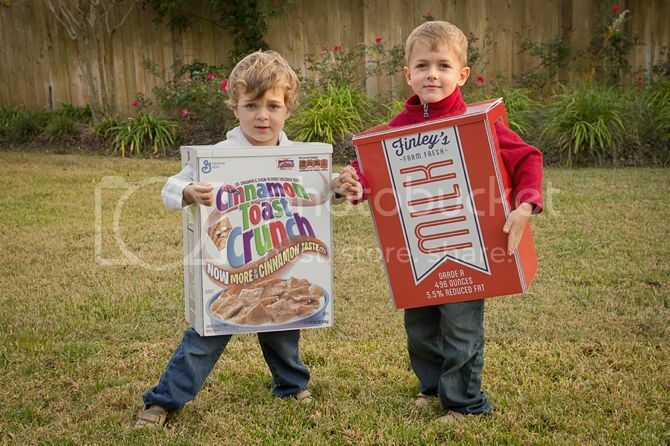 After hand-making elaborate Halloween costumes the last two years, I was totally planning on letting the boys be whatever they wanted from the costumes we have lying around. I figured they'd love to be superheroes and I wouldn't have to do a thing. Unfortunately... my sweet Braden had a VERY strong opinion on his costume, and it was too cute for me not to indulge him. 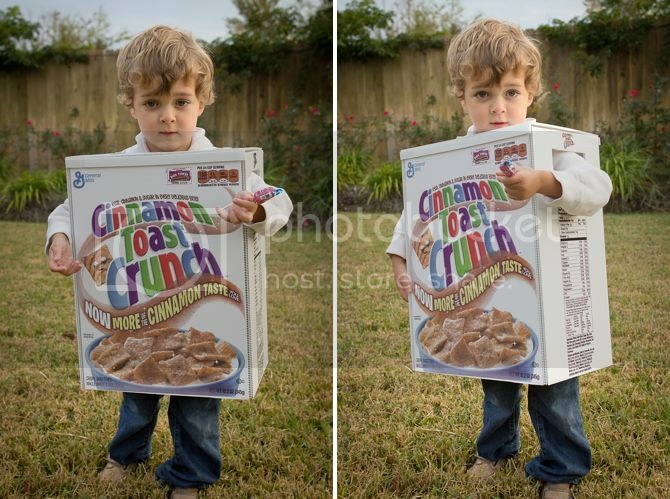 Whenever I'd ask Braden what he wanted to be leading up to Halloween, he'd reply, "Cinnamon Toast Crunch!" And I'd laugh and forget his answer--only to go through the same thing next time I asked him. Eventually I decided to see if we could make it work--and came up with matching outfits for the rest of the crew. 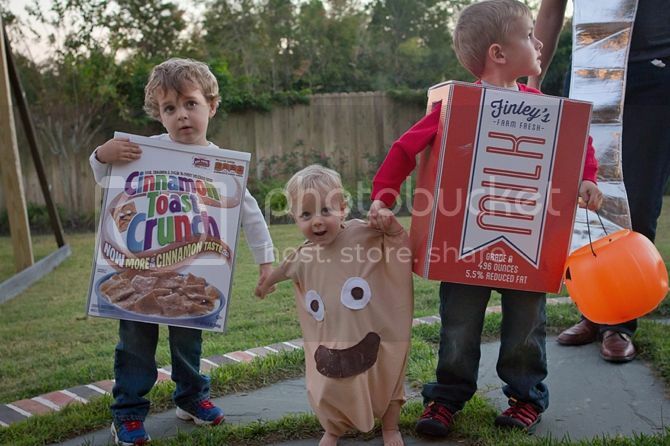 Braden was (obviously) a box of Cinnamon Toast Crunch, Finley was a carton of milk and Keaton was a square of cinnamon toast crunch. Sol was a spoon and I was going to be a bowl, but that ended up being too much work for me to pull together, so I was just me. 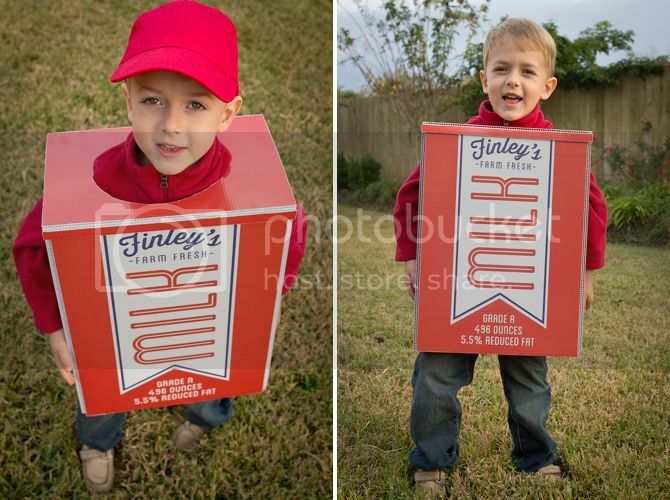 I was completely surprised how willing Finley was to go along with plan to be milk--he was excited about it and thought his costume was awesome. 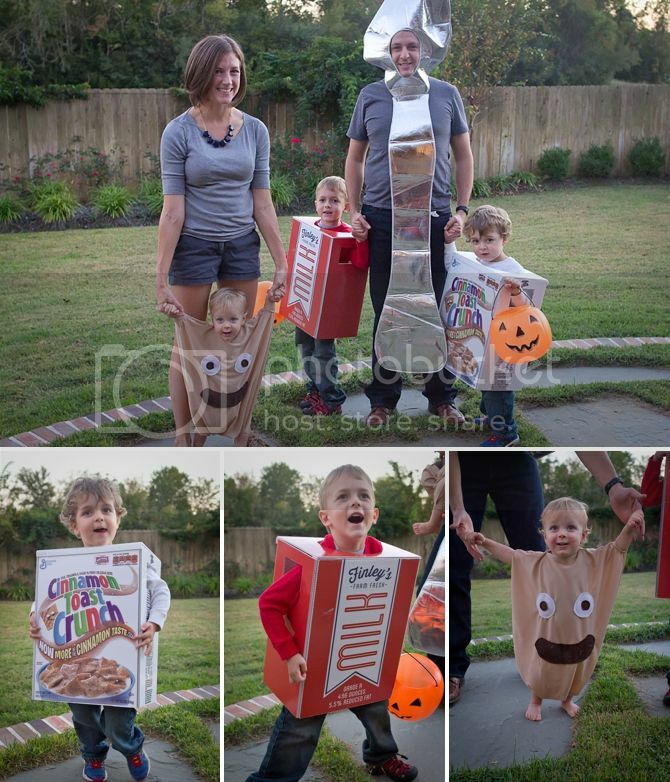 Braden, however, was not thrilled with his costume. The first time he tried it on the head hole was too small and it hurt his face--so after that he REFUSED to wear it unless I bribed him. I was not about to let him get away with not wearing his costume after we built Halloween around him... :) He also fell down a few times and couldn't get up--which was kind of funny but made him a little upset. After he got in the costume, he was happy though! Look at Keaton! Standing on his own! 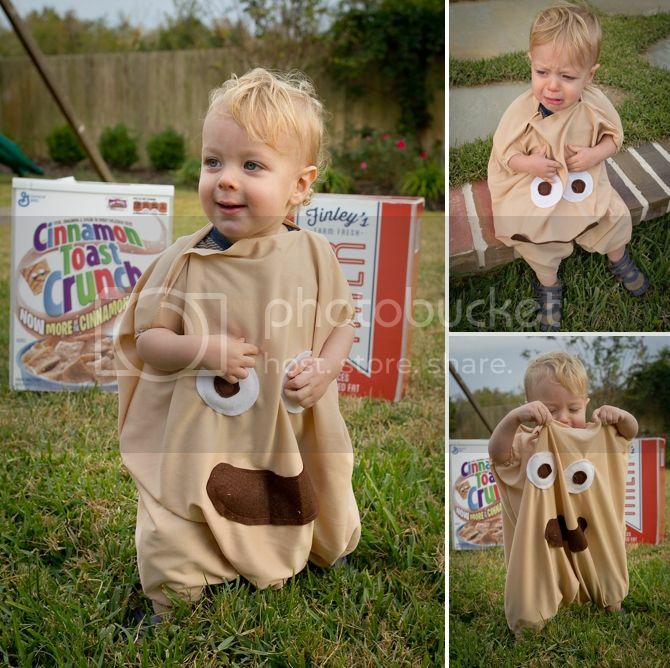 His costume cracks me up. It's basically just a large square with elastic holes on the corner. It makes me laugh and only sometimes made him cry. I had the boxes printed at a local sign company and they were kind enough to assemble them too! I think they are totally amazing. This second set of pictures was taken a week after Halloween--it was getting dark when we took pictures on Halloween and I didn't get a few of the shots I wanted, so I bribed them to get back in their costumes later! I literally made everyone cry during the second photoshoot. It was preeeeetttty impressive. Don't worry, we had candy after and everyone was much happier.